Looking for an easy to understand spondylolisthesis definition? You are not alone. Many patients are confused by the diagnosis and all the technical medical terminology thrown at them. These unfamiliar terms tend to swirl around in their heads and complicate matters even more, deepening their worry and preventing them from gaining enlightened comprehension of the true facts of various types of vertebral listhesis. We pride ourselves on being able to speak to both doctors and patients in our writings. We can explain the technical side of diagnoses with the best of them, but can still bring the most complicated subject within easy reach of any patient, including non-native English speakers. This essay will seek to accomplish that exact goal. This patient guide explains listhesis is a manner that is simple and absorbable. We will clarify the most important points of the condition, as well as provide facts to negate the anxieties often experienced by diagnosed patients. The human spine contains several curvatures when viewed from the side. This means that most vertebral bones will be slightly off center from the ones below or above it. To simplify, the spine is more like a wavy line than a straight one when observed from the side view. This is completely normal. 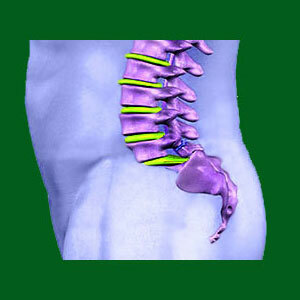 However, in some cases, a vertebral bone might be out of position and further away from the bones above and below it. This abnormal vertebral movement is called spondylolisthesis or listhesis, for short. When a vertebral bone moves more towards the front of the body in an abnormal manner, it is called anterolisthesis. When a vertebral bone moves towards to back of the body in an abnormal manner, it is called retrolisthesis. Both of these sub-diagnoses qualify to be called spondylolisthesis and sometimes might be called a combination of both names, such as anterospondylolisthesis or retrospondylolisthesis. To make things very easy, listhesis is defined as the atypical movement of one or more vertebral bones forwards or backwards in the spine. To satisfy a more technical audience, we can also explain the condition from a different anatomical perspective. The human spine is multiply curved when viewed from the sagittal plane. These curvatures include (from top to bottom) a lordotic shape in the cervical spine, a kyphotic shape in the thoracic spine, a lordotic shape in the lumbar spine and a kyphotic shape in the sacral/coccygeal spine. These curvatures tend to offset the sagittal position of each vertebral bone in the cascade of the spinal column. This slight offset is considered textbook normal in the human spine and places each bone in a predictable position in relation to those above and below it. When spondylolisthesis occurs, the sagittal positioning of a particular vertebral bone changes in relation to those adjacent to it. The bone might migrate anteriorly or posteriorly, depending on many case-specific circumstances. Anterior movement of a vertebra is called anterolisthesis, while posterior movement is called retrolisthesis. To learn everything about spondylolisthesis, we suggest reading through the primary sections of the website. Each appears in the navigation bar and contains a series of reports on each topical focus. To really gain an appreciation of every aspect of the condition and increase your knowledge exponentially, you can read all the articles using the site map, as well. If you complete this task, you will become a true expert on spondylolisthesis and will be fully capable of making informed decisions regarding diagnosis and treatment. Best of luck! 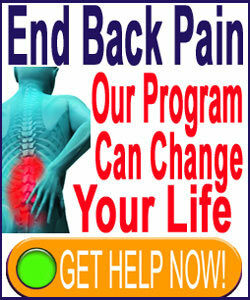 This website is provided as a gift by The Cure Back Pain Network. We are the largest and most respected patient education and advocacy organization in the back pain sector. We are proud to help patients for over 15 years by offering completely free, objective and expert-written content.